This level has medium difficulty. 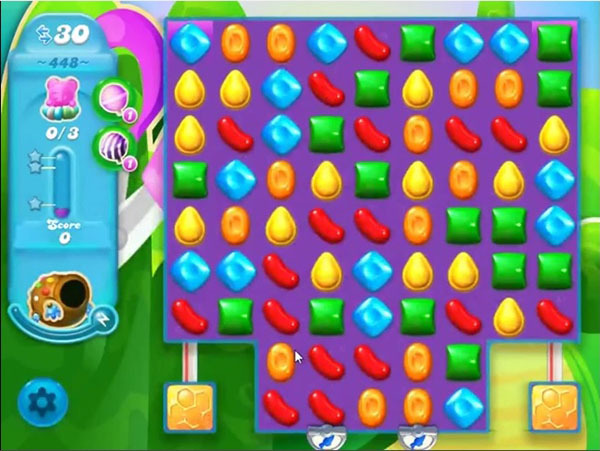 For this level try to play from top to shuffle candies and make special candy as you get the chance. Try to make striped candy and combine with colorbomb or wrapped candy to save the bears. I like this level, I just wish I had more than 30 moves. I’ve been able to get 2 bears, but not the 3rd one. I guess I’ll just keep on trying until I conquer this level.